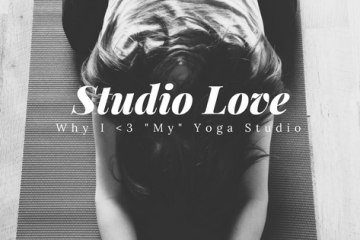 Every day, more and more people are discovering how yoga can completely change their lives. Yoga has helped millions of people around the world gain physical strength, improve their flexibility, calm their minds, and refresh their souls. In the last few years, we’ve seen a huge boom in this age-old practice. Because yoga is gaining a lot of traction nowadays, an entire industry catering to aspiring yogis has popped up. 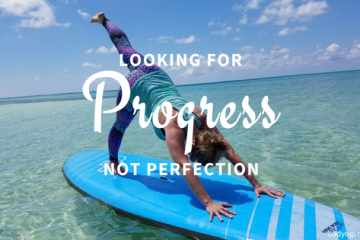 Many companies sell products that are designed to better your yoga practice, ranging from high-end yoga mats and athletic wear to pose-improving props, straps, and blocks. 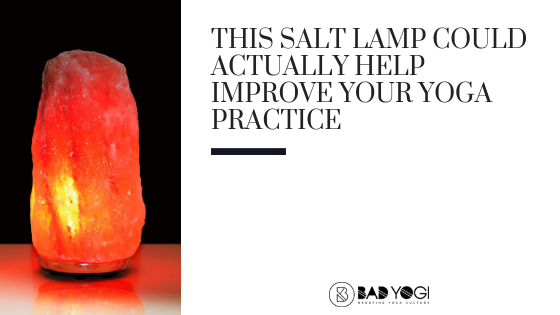 Yet, one of the best-kept yoga secrets is using a Himalayan salt lamp during your yoga practice. These lamps are made out of pink salt mined right from the base of the Himalayan mountain range. Then, the salt is hand carved into lighting fixtures you can keep in your home and office. Himalayan salt lamps give off a soothing, warm glow that usually ranges from pink to orange. This is way less harsh than the usual white and blue lights you get from electronic devices. We are naturally adapted to these warmer hues and not to the sharp lights of our electronics. So, this lighting brings a much needed break from the daily onslaught of visual over stimulation. Salt naturally attracts water particles in the air. These water molecules are not harmful in and of themselves, but things like dust, germs, and even viruses can latch onto them and enter your body when you inhale them. Himalayan salt lamps pull in these polluted water particles, trap the harmful contaminants, and release the detoxified molecules back into the air. You’ll be breathing in purer, cleaner air during your yoga session. While Himalayan salt lamps are detoxifying the air around you, they produce negative ions in the process. Negative ions are abundant in nature and promote a rejuvenated, relaxed feeling. Think of all the times you’ve felt refreshed after taking a walk in a forest or sat down by the beach – that’s the negative ions working. 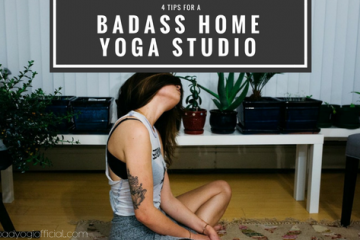 This allows you to start your yoga practice calm and ready to take on those difficult poses. For the best effect it’s recommended that you keep your salt lamp on 24/7 as this slowly builds up the amount of negative ions in the room, and you can never have too much of these. The best thing about Himalayan salt lamps is that you can use them in your everyday life. 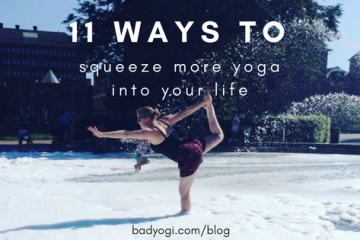 Whether you have a yoga session scheduled that day or not, you can continue to reap the benefits. Set it down by your computer or bed and feel the difference. 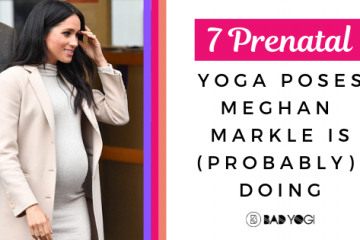 You’ll be healthier and happier overall, and isn’t that the whole point of yoga in the first place? Hi I'm Eddie, i'm a travelholic, entrepreneur and lover of everything fitness and organic. I'm currently running a ethically-sourced salt lamp business, The Salt Lamp Shoe, and sharing my wisdom on salt lamps wherever I can.